Introducing our brand new Ready Peck suet product; Suet Rolls. 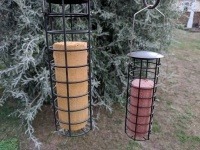 Designed to be our most versatile suet product yet! 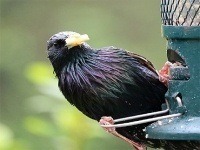 Here on the Ivel Valley farm we've been feeding the birds for years. The shelter of the nearby woods, the vast landscapes surrounding us and the array of plants and flowers on our farm mean that we're lucky enough to see a variety of unique and rare birds all year round. Our farm has played house to many a Corn Buntings family over the last 70 years and our father can remember a time where their birdsong was ever present through the crops in the warm summer months or spied foraging in grain stores through cold, chilly winter days. Seems ages since writing the last snippets with the summer break but plenty to mention this month. Lots of new arrivals on the farm over the past couple of months. Although it was dull and overcast there were loads of birds feeding on, around or above the lake. Feeding on or in the water were Great Crested Grebe, Cormorant, Mute swans, Tufted duck, Mallard and Coots. 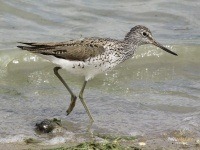 Feeding around the lake were Oyster catchers, Little Ringed Plovers, Ringed Plover, Lapwings and Geese. 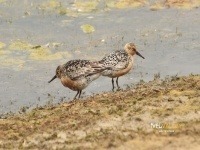 Lots of wildlife activity at the moment especially bird life. 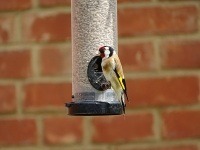 Most of the Summer visitors are with us now. I haven't heard a Cuckoo in the village yet but heard and see one at Maulden Heath. 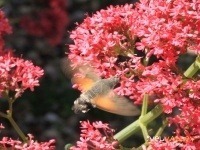 Loads of Swallows and House and Sand Martins seen feeding on insects over the lake on the farm. Welcome along to Spring! Yellow daffodils have broken free and rapeseed floods the fields with their sweet aroma and vibrant yellow colour. Spring has finally arrived and you can look forward to fresh mornings and warmer evenings. Farm Update! March 9th, and apart from it being a touch windy it's a beautiful bright Spring day. I've just got back from the farm and at last I've got some good pictures of a Chinese Water deer, you can even see its tusks! I'm sure the usual farmland bird species all had a good breeding season as I saw good numbers singing, holding territory, carrying nesting material or food for young. 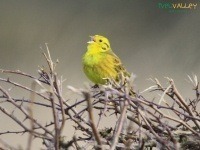 These include Yellowhammers, Reed buntings, Meadow pipits, Linnets and Skylarks.